Sometimes you simply aren’t able to unload the dryer when the cycle is finished. When clothes are left in the dryer too long before being put away they can develop unsightly wrinkles. This dryer is equipped to prevent that, with an anti-wrinkle option. This option works by simply tumbling the clothes inside periodically until you’re ready to put them away. You now have the ability to properly dry all of your clothes thanks to the multiple different dryer cycles included on this dryer. Choosing the right dry cycle is important, as choosing the wrong one could cause shrinkage and potentially even damage your garments. Remember to dry clothes that were washed in hot water on a lower heat setting for the best results. Conversely, any rugged material on a low setting will take an excruciatingly long time as well as rack up your energy bill. Prevent overdrying and damaging your clothes with four different temperature settings to choose from on this dryer. Using the right temperatures for the right clothes is important. Using a proper temperature will extend the life of your clothes. One common guideline for choosing a temperature when drying is to not use a hot temperature for garments that were washed in hot water, as it can cause shrinkage and even damage them. Conversely, colder temperatures for heavy, durable garments will have little effect on them. 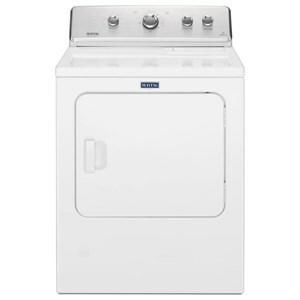 Use only the energy you need with this front-load electric dryer. Equipped with Automatic Dryness Control, it uses sensors that stop the cycle when clothes are dry to help prevent overdrying. Generous 6.5 cu. ft. capacity means there's plenty of room to dry your loads. When you can't unload right away, the Wrinkle Prevent option will intermittently tumble your clothes to help keep wrinkles from forming. And drying clothes on your schedule is easy thanks to Timed Dry cycles. 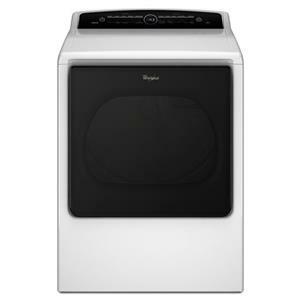 The Dryers 6.5 cu. ft. Front-Load Electric Dryer with Automatic Dryness Control by Amana at Pedigo Furniture in the Livingston, Onalaska, Trinity, Coldspring, Corrigan, Huntsville, TX area. Product availability may vary. Contact us for the most current availability on this product. Depth (front to back) 28.2"
Warranty Limited One Year Warranty - Parts and Labor. For one (1) year from the original retail purchase date, any part which fails in normal home use will be repaired or replaced free of charge. Refer to the Use and Care for warranty details. 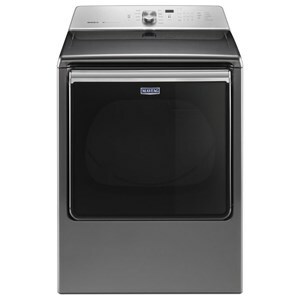 You will have no more time-consuming laundry days with these wonderful dryers. The large capacity lets you get more laundry done faster. 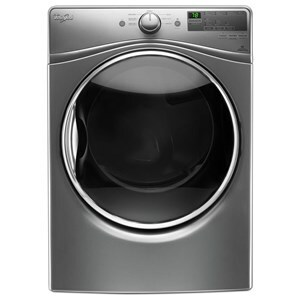 Featuring sensor drying, wrinkle release cycles, and flexible configuration, these dryers will make your life a lot easier, while giving you more time to enjoy with family and friends. 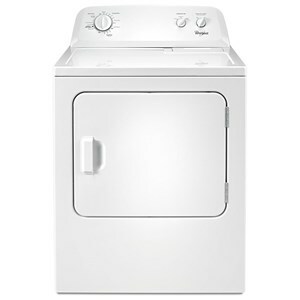 The Dryers collection is a great option if you are looking for Appliances in the Livingston, Onalaska, Trinity, Coldspring, Corrigan, Huntsville, TX area.